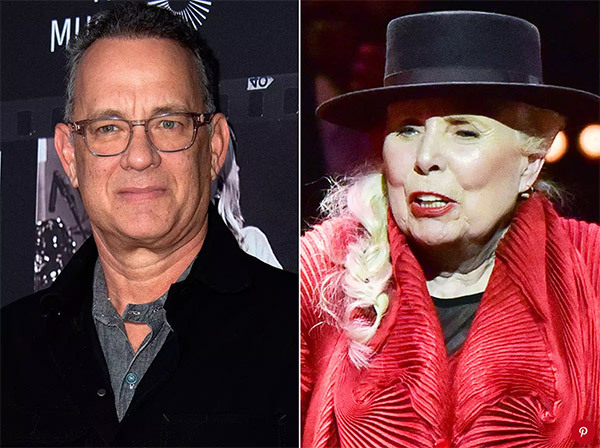 Tom Hanks admits he doesn't always have his finger on the pulse when it comes to music - but he knows Joni Mitchell is a classic. "I'm not the hippest dude in the world, but I knew great stuff when it came along," Hanks told PEOPLE about hearing songs like"Big Yellow Taxi" for the first time. "There was an unspoken rule that you didn't change the station when Joni Mitchell stuff came on, whether you dug it or not. Whether you had a lot of house plants or not. Whether you wore a macrame belt or not, you did not change the station on Joni Mitchell," the You Are My Friend star quipped. This article has been viewed 482 times since being added on November 9, 2018.